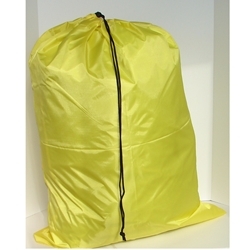 This is our yellow 30"W x 40"L polyester laundry bag. It has a black slip lock closure that can be opened or closed with the push of a button. This commercial polyester will add a nice look to your laundry room.